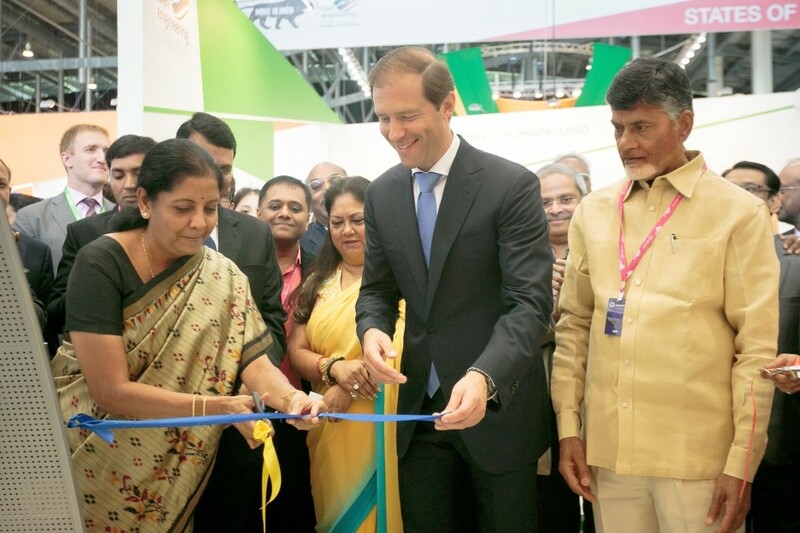 Nirmala Sitharaman, India’s Minister of Industry and Trade and Denis Manturov, Russia’s Minister of Industry and Trade. The first several agreements between Indian and Russian enterprises were signed at INNOPROM on Monday. Several strategic agreements have been signed between Russian and Indian enterprises on Monday (July 11) during the Russian-Indian Forum at INNOPROM, Russia’s annual International Exhibition of Industry and Innovation. Uralvagonzavod and the Kalyani Group signed an agreement endorsing their intent to expand and deepen their cooperation within the framework of the ‘Make in India’ programme, as well as to promote UVZ products in India. Nirmala Sitharaman, India’s Minister of Industry and Trade and Denis Manturov, Russia’s Minister of Industry and Trade were both present at the official signing ceremony, emphasizing the importance of expanding defence cooperation for both countries. India is not only one of the largest consumers of the Russian weapons and special equipment, but it is also ready to deal with localization of production in that country. An agreement on trade and economic investment cooperation with the Development Corporation of the Moscow region and the Confederation of Indian Industry was also signed in the presence of the federal ministers. Shiv Vikram Khemka signed the agreement for the Indian side. “I see four vectors for cooperation between Russia and India,” Khemka said. “First, it’s the resources. India needs to develop natural resources, and there are plenty of them in Russia. Secondly, it is infrastructure. I think over the next 20-30 years, we will be building a lot. Third, it is innovation in the defence industry, space and civil aviation. Finally, it’s the human capital,” Khemka said. “I have lived in Russia for 25 years and I am very surprised by the quality of the human capital here. For us it is also a very important aspect of the future of the economy,” he said.